“We had a wonderful experience with Blue Ridge Builders! It was obvious that they truly care about the quality of their work. Their experience was invaluable even as we began planning the kitchen remodel. It was refreshing to work with a company that does meticulous work, and I didn’t feel like I had to hover over them to make sure they didn’t cut corners. I completely trusted them in my home. “I have known the president of Blue Ridge Builders, Wayne, for about 20 years, so I was already well aware of the quality that I could expect on the final product and the professionalism throughout the project. The glowing review which follows is solely due to the quality job that was performed. Wayne was also very diplomatic when I wanted to keep the retro 50s range hood that came with the house…he finally convinced me to go with a modern style – which was completely right – the old one would have looked out of place with the modern style of the remodel. The job site was always kept clean and tidy at the end of each day. They did everything possible to minimize the disruption during the entire remodel. They came in on budget – with the only tweaks being for the awful little surprises (rotted out subfloors and such). “ We had an emergency project that needed to be completed in our commercial kitchen that required Blue Ridge Builders to work with a timeline that was in the hands of New Castle County and a second company. Since he was flexible, we were able to complete a secondary project at the same time reducing the time our restaurant was closed to one day. We didn’t expect the project to be done in one day but he worked with his employee to make it happen. The work that was performed was perfect. I am so not technical and I didn’t know exactly what I needed or wanted. I knew I wanted the drywall replaced, but I didn’t know the exact timeline since I had to work with another company for a second project. Wayne was extremely flexible and helped me without making me feel stupid. At the initial meeting, Wayne gave several recommendations that I had not even considered. I used them all! Because this was an emergency project, I was in fix it mode. Wayne’s recommendations were based on the future needs of my kitchen not just the quick fix. He wasn’t trying to make the project bigger for his bottom line instead he was telling me that he could do more with my budget. “This was the third addition to my house. The second addition was bid out and Blue Ridge was one of the bidders. I chose Blue Ridge and was so satisfied with the work, that on this third addition, I did not bid out the job. The owner is the general contractor and does ALL of the supervising of the job. His own employees do most of the work. He just subcontracts out the specialized task, like electrical, plumbing, etc. The remaining, including the laying of ceramic tile, radiant floor heating, installing all major appliances, installing all cabinets, etc, were done by his employees. The owner has excellent attention to detail, is creative, and is extremely conscientious. He wants you to be completely satisfied and ensures that his employees do quality work. His prices are fair, and given the level of service and quality, there should be no doubt in any decision to use Blue Ridge Builders. The workers on the job, put in a fair day’s work and did not slack off. They always left our house clean and if work was in progress, we were always told what to do and not to do. Communication is great and you can always reach the owner. In addition, the owner keeps you apprised of the progress and ensures that you are a complete partner in the entire process. 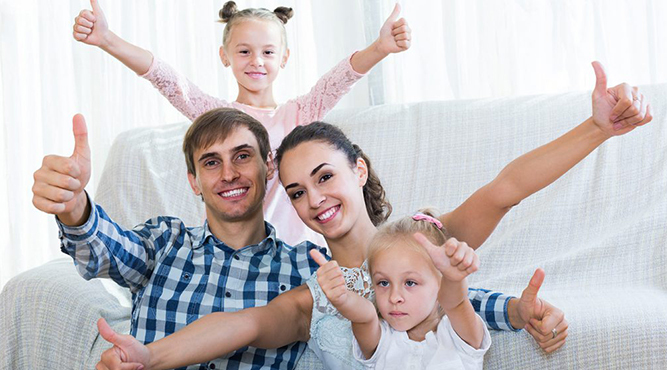 Because we are a different kind of builder, we partner with the best providers of energy efficient services and products to ensure our homes and appliances are the best fit for your family and the planet. We’d love to hear more about your upcoming renovation, addition or custom home dreams. Contact Us Today! … they tell the inside story!